Rome is a magnificent city. So many tombs of the saints, Baroque churches wrapped in gold made of granite, and marble. Such wasn’t always the case, of course, especially in the early centuries of the Church, when Rome was still an empire, though a failing one. Corruption had crept in, the mighty domain was crumbling, and invaders were on the doorsteps…ready to come in and ransack everything in the city…the Pope didn’t like that, he wanted to save the remains of the saints who were buried in the area. 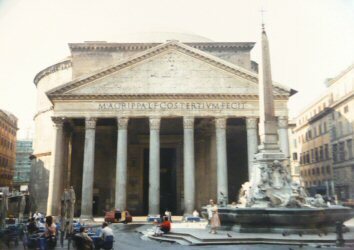 So he took all the bones of the saints in the surrounding cemeteries and buried them within a Church in Rome, a very interesting Church – it was the Pantheon, previously a Roman temple, to “pan-theon.” “all the gods” of Rome. Now, all the bones of the saints, who believed in one God, were protected in this formerly pagan temple. And Rome was spared from utter destruction. This significant protection of the relics of so many saints, would soon turn into a celebration of all the Saints, which we now celebrate today…Such is the power of this one God. How precious is the gift of our Faith, how blessed, how happy are we who believe in Him! Who would have thought, one pagan empire believing in many gods, would become a place of many peoples, for all over the world, believing in one God! Especially those who have already reached the Heavenly Homeland, the heroes of the Church, the saints. They who followed the Lord’s command to be poor in spirit, have inherited the kingdom of Heaven. They who mourned are now comforted. Those who were meek have inherited the land. They who hungered for righteousness are now satisfied. The merciful have received mercy. The clean of heart now see God. The peacemakers are His children. And those who were persecuted for righteousness’ sake, the reward of righteousness is now theirs. We hear the Beatitudes all the time…but imagine hearing them for the first time – what strange directions, what odd instructions! Blessed, also translated happy… happy are you when you mourn, happy are you who are meek, happy are you when you are poor! What a fascinating recipe for eternal bliss. And yet, perhaps how appropriate. 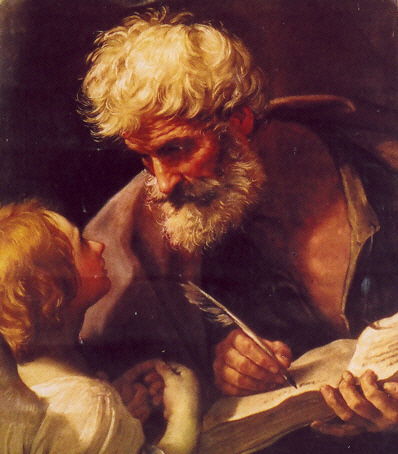 One of the first things every saint has recognized is that he or she is a sinner…sainthood flows from recognition of our sinfulness. The saints correctly diagnosed the illness, and they knew where to find the cure. Christ gives it to us today; the cure which does involve persecution and the cross, but it is given with a promise as well – happiness, the happiness of Heaven, our final destination and fulfillment. But the journey can be so difficult! These sayings are hard, they challenge us, they go against what our everyday culture promotes and loves. Indeed they do, indeed they provoke a change, but that’s what happens when we meet Christ. His instructions today are not designed to make us comfortable, they are designed to make us great! Society needs heroes to remind everyone of what we can become…the world needs saints to remind us of who we are. Even when the journey does become difficult, we have others who have paved the way for us…but they were great saints of the Church! How can we possible follow them? But then, who are we to doubt that the Lord still desires great saints in His Church? Perhaps even some gathered here…in fact, definitely some gathered here. We cannot pass up the opportunity, the happiness we’re being offered is too great, and we’re definitely not alone in our struggles. We have many already in Heaven who are not simply painted on holy cards, they are actually and presently praying for us! Many saints have said that they would do greater good in Heaven than they could ever do on earth. Very soon, they will be with us here, as we gather to worship the one God at this altar in the Eucharist, who unites us all in His Church, who desires each of us to become saints – the directions have been given, we need only respond with ready hearts. Leaning upon the loving and prayerful help of Mary and all the saints, we renew our yes, our Amen to the Lord…here’s to happiness, real happiness, with Him, and all His Saints!! !